Live the Venice Carnival with two unforgettable experiences! 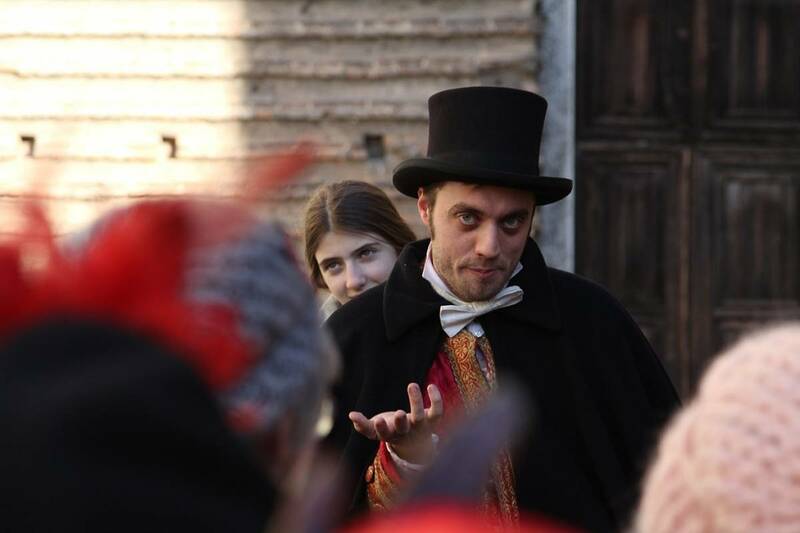 Create your own mask and discover the true soul of the carnival with the amazing walking theatre tour! 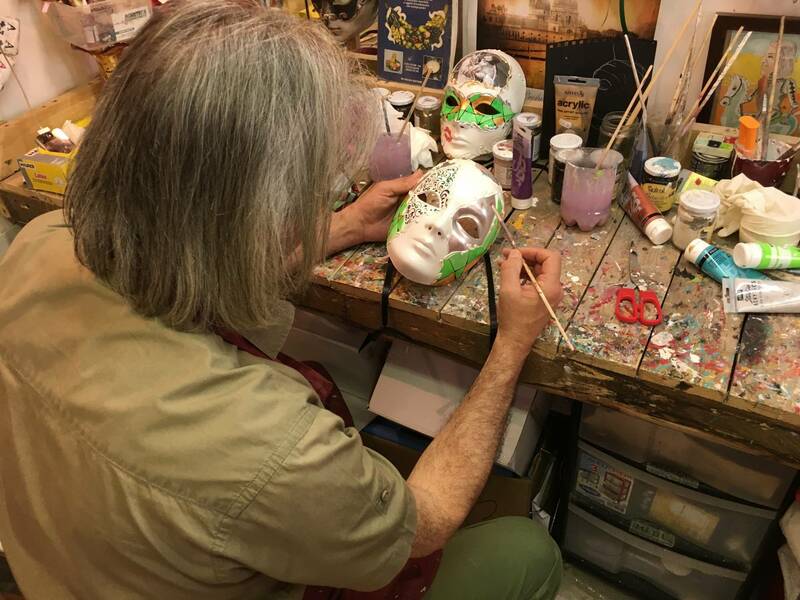 It is an interesting activity where you will realize a venetian mask following the wise instructions of an expert local artisan who will tell history and curiosities about the venetian mask. Your instructor will be our experienced decorator, who will teach you how to paint and decorate your own mask. 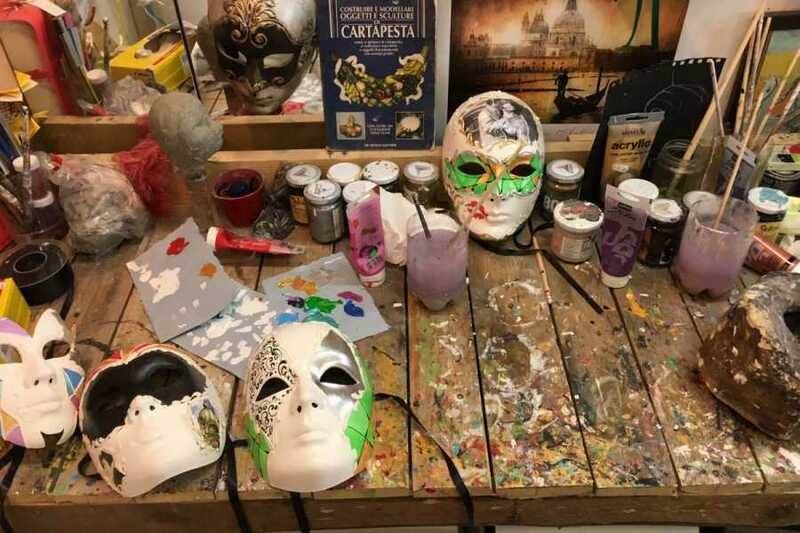 The participants will choose a mask to be decorated during the course and at the end of the course, they will keep their mask as a very special souvenir to bring back home. Your personal guide will bring you through the maze of mystery that forms the city. A leap in the past which will inspire you to be the actors in a moving mise-en-scene and will push you to the heart of the Serenissima Republic and its Carnival. 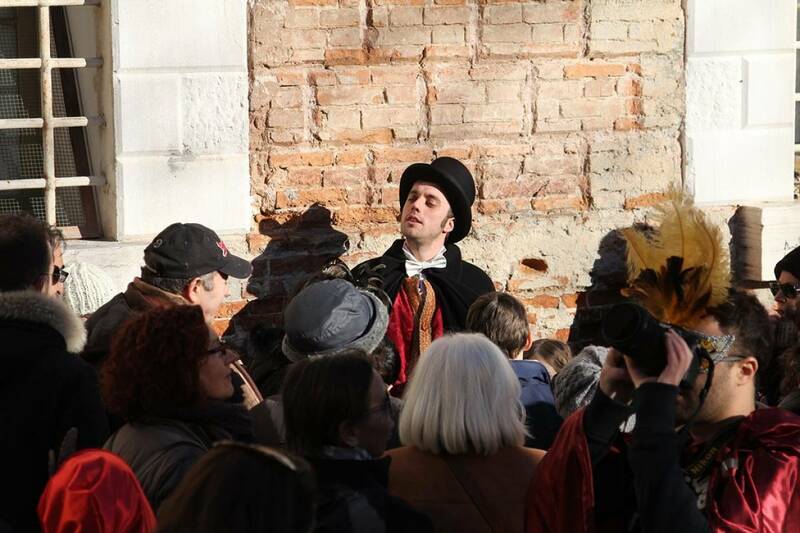 Through the stories of the venetian actor guide, the visitors will be escorted to unusual and secret places, away from the chaotic hustle and bustle of Carnival, to find out some interesting facts of the history and daily life of the Serenissima Republic. These two activities are the ideal way to enjoy the carnival as a true venetian! Meeting point: Campo San Gallo (Well in front of the San Gallo Theatre - San Gallo Hotel). Please be at meeting point 15 minutes before the beginning of the tour. Duration: 1 hr. and 15 minutes approx. Thanks to this package you will enjoy these activity at a very convenient price. This tour is not fully accessible for wheelchair users or people with walking disabilities - Comfortable shoes suggested. The activities cannot be sold separately. They can be made in different days. The tour is not considered private but it is shared with other guests not belonging to the same party – in case of particular events, the itinerary could be changed - For general conditions refer to our brochure “Discovering Venice”. 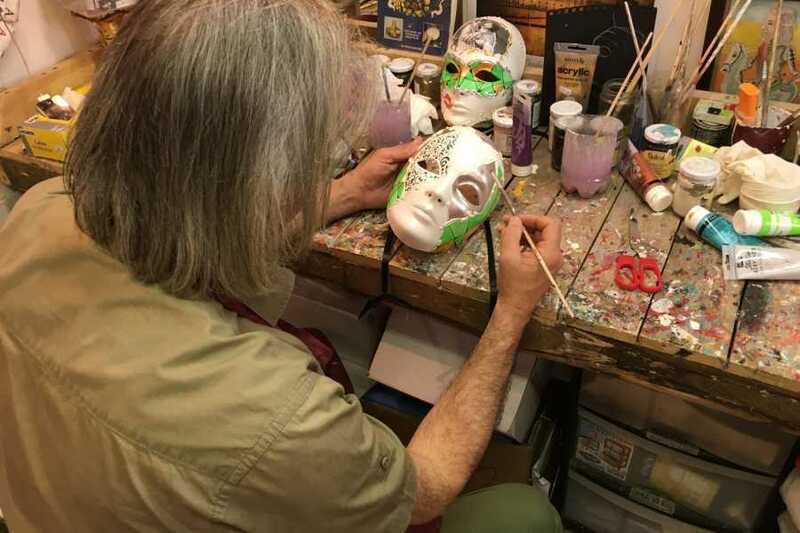 CREATE YOUR OWN VENICE CARNIVAL MASK - DECORATION OR/AND PRODUCTION COURSE!